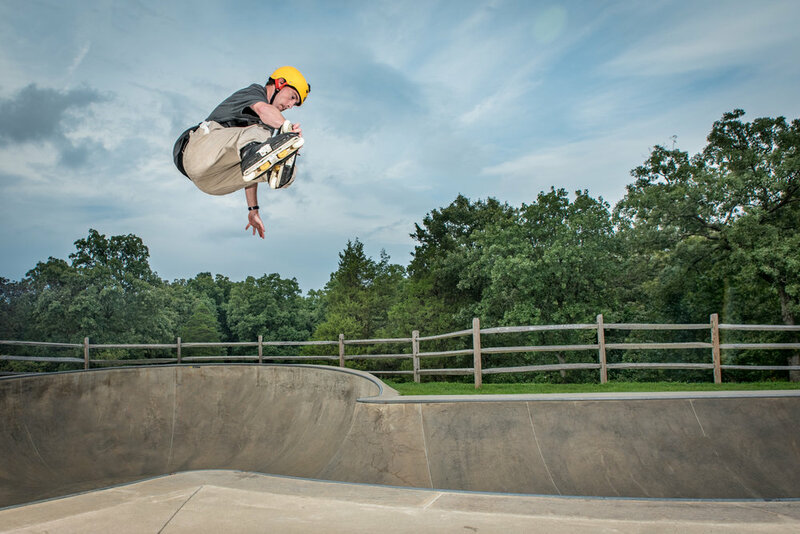 Athlete and artist @davestinn in flight at #lakefairfaxskatepark near dusk. Inspired by the great photography of @paulwilkinsonphotography. This was a two light setup with the #flashpointxplor600 and #flashpointevolv200.